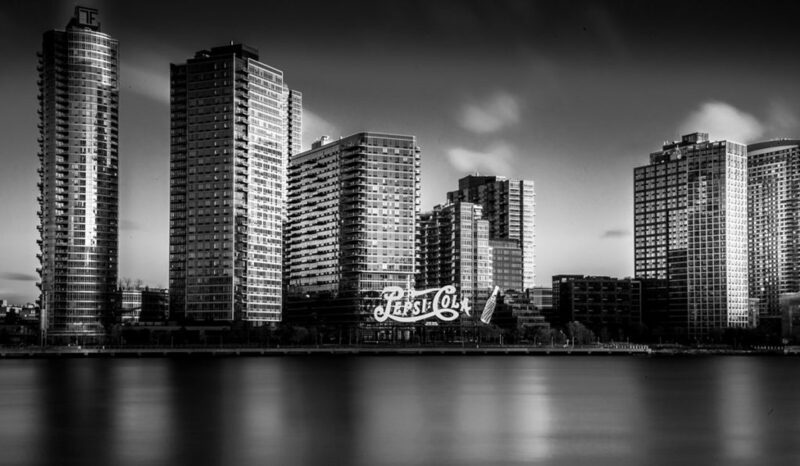 Back in November I held a long-exposure photography workshop at Roosevelt Island in New York City. 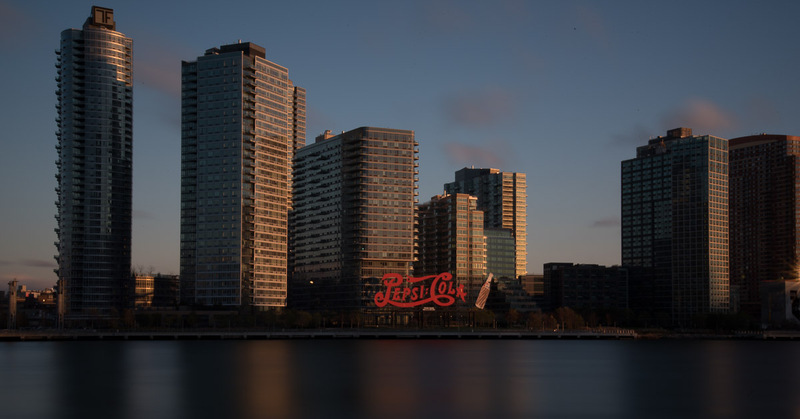 Not only were the participants able to capture some wonderful images of Manhattan, looking across the East River, but we were also able to photograph the iconic Pepsi Cola sign from Four Freedoms Park at the tip of the little island. One of the participants Cecile Lafforgue (thefrogzeye on Instagram) captured this image that spanned 104 seconds. After I worked it in post for Cecile, I was able to turn it into a the stunning black and white image at the top of this post.